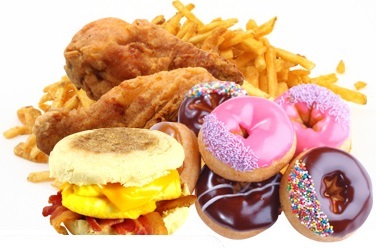 UK to ban online junk food ads aimed at kids? In a major move, sugary and fatty food adverts shown around children's content online could soon be banned in the UK. Junk food ads are already banned on TV, but this could soon be extended to online in a bid to combat the obesity epidemic, the UK's advertising watchdog has said. The Committee of Advertising Practice (CAP), which draws up advertising rules, will soon launch a full public consultation on whether to tighten rules for ads online. Adverts for unhealthy products high in fat, sugar or salt are already banned on children's television, but authorities will soon launch a consultation on whether to roll this out to all media - including websites, print and billboards. The move comes as concern is growing over the childhood obesity epidemic and the rising numbers of children having their rotten teeth taken out. A campaign spearheaded by Jamie Oliver calling for a sugar tax has attracted widespread support and shone a spotlight on the role industry and legislation play in tackling health problems. Guy Parker, the chief executive of the Advertising Standards Authority, said the move would close a loophole that bans sugary and fatty food adverts from being shown around children’s programmes on television, but not on the internet. Parker added that the change could be necessary because children were increasingly watching more programmes aimed at their age group on the internet. He said the Committee of Advertising Practice “is going to be very soon consulting publicly over whether a change of approach is needed” to ban “the targeting of HFSS (High Fat Sugar and Salt) food ads at children”. Parker told the Westminster Food & Nutrition Forum seminar that there was “a growing consensus about the role of advertising, self-regulation helping to bring about change in the nature and balance of food advertising to children”. The consultation will be published shortly by the Committee of Advertising Practice, a body which drafts the Advertising codes. The Advertising Standards Authority adjudicates on those rules, set by the CAP. In 2014 there were 13,477 complaints about more than 10,000 digital ads in the UK.